You’ve got the brains of diarrhoea, and the breeding of a maggot. 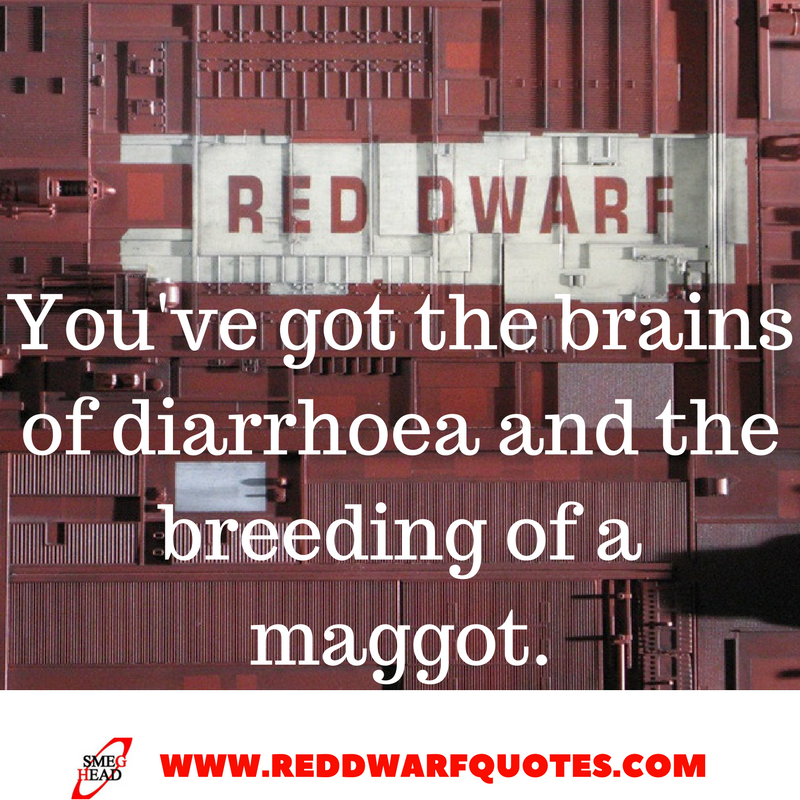 Classic quote from Red Dwarf series one episode ‘Balance of Power‘. 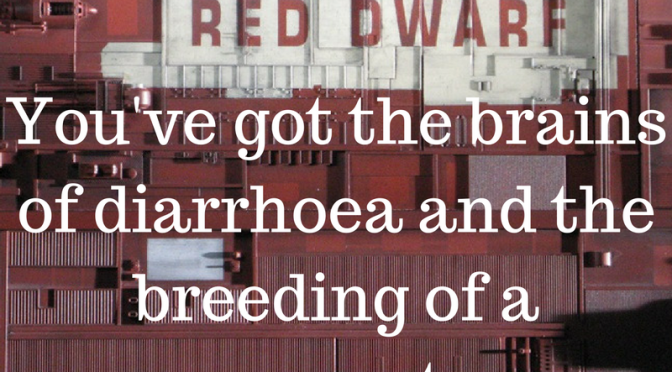 Classic quote from Red Dwarf series one. For more quotes, take a look around the site, and remember to like our Facebook page!